The large, felxible space allows you to have the layout you require, without having to compromise. Catering for up to 200 seated guests for your wedding breakfast, and up to 300 for an evening reception and dancing. Retiring rooms are also available. Your guests are welcome to spill out onto the lawn in fine weather. Your wedding reception can be as simple or elaborate as you wish, with decor tailored to your taste to create an unique day everybody will remember. Caterers, florists, discos, bands, cake suppliers, photographers, party organisers, wedding cars……..just let us know your needs and we will do our best to help you meet them. 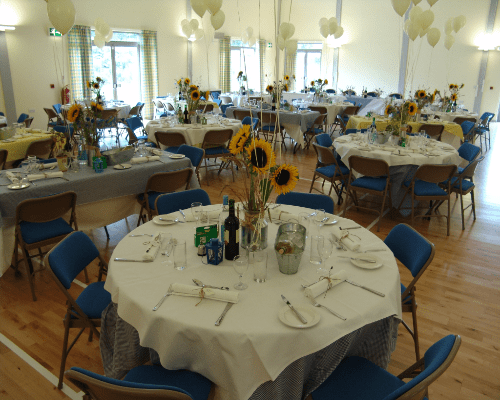 Weddings at Lavenham Village Hall and Events Centre are extremely popular, due to our excellent facilities and car parking availability. 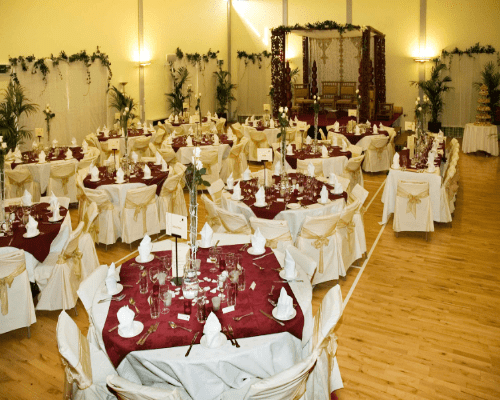 We have the entire Hall at your disposal with a well equipped bar. Outside lends itself to an extra space where you can have a marquee or gazebo. Our competitive pricing is inclusive of all bar and bar staffing requirements.